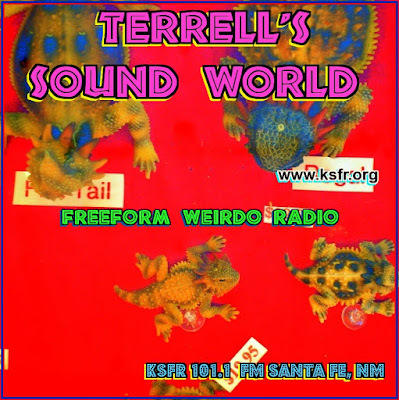 Stephen W. Terrell's (MUSIC) Web Log: TERRELL'S TUNEUP: VIVA LOS PEYOTES! And even though Doug Sahm and Augie Meyers were gringos, their Sir Douglas Quintet, which included drummer Johnny Perez, also capitalized on the Tex-Mex sound. They might have tried to pass as British, but there was no way to miss the San Antonio in their music. So with that history, it shouldn’t be surprising that some of the most exciting contemporary bands propagating the garage-band sound come from Spanish-speaking territory. There’s The Hollywood Sinners and Wau y Los Arrrghs from Spain. And from the great nation of Argentina comes Los Peyotes, who recently released their debut album — Introducing Los Peyotes — on London’s Dirty Water Records (also home to The Hollywood Sinners). The singer, who goes by the name David Peyote, sometimes sings in English as well as in Spanish. “Action, action ... oh, gimme your love!” he sings in “Action.” Those are some of the only decipherable lyrics in the tune, but really, what more do you need to know? Just in time for Halloween, there are some good, fun horror hits (well, they ought to be hits) here. My favorite part of “Vampiro” is when the wild bongos come in toward the end. Then there’s “Scream,” which features a recurring screech playing off a frantic guitar. 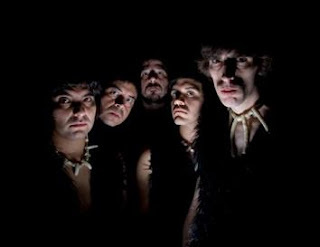 To show their great debt to the original American garage-band sound, Los Peyotes have a song called “No Puedo Hacerte Mia.” Yes, it’s a Spanish version of The Seeds’ “Can’t Seem to Make You Mine.” (The original has recently been excavated for an Axe body spray commercial.) Los Peyotes do the song justice. You’d think Sky Saxon had changed his name to Sky Sanchez. Consumer note: Introducing Los Peyotes is available on amazon.com as an import. But you can get it cheaper through Dirty Water’s American distributor, Get Hip Recordings. (Click the link, then click “store,” then “exclusive labels,” then “Dirty Water” — you probably can figure it out from there.) Of course it’s even cheaper from your favorite download vendor — eMusic, Amazon, iTunes. In 1972, they released their first and only single, “It’s Lame,” backed with “I Jes Wanna Go to Bed.” They pressed 100 copies. 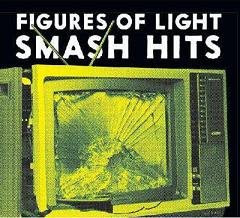 Figures of Light broke up and never looked back. Until a couple of years ago, that is, when Miriam Linna, high priestess of Norton Records, came across one of the original Figures of Light singles at a swap meet. She tracked down Dixon, now a professor of film studies at the University of Nebraska – Lincoln. Dixon contacted Downey for the first time in 25 years or so, and Figures of Light was reborn. After all those years, the group was back in the studio, aided by Linna on drums, her A-Bones bandmate Marcus “The Carcass” Natale on bass, and guitarist Matt Verta-Ray (Jon Spencer’s partner in Heavy Trash). They recorded six new tracks in one day. Also worthy is “I Got Spies Watching You,” a reckless rocker with a cool tremolo guitar that was recorded as a demo at a Lincoln, Nebraska, studio in 2007. It’s all raw, crazy, and irresistible to those of us who like it that way.